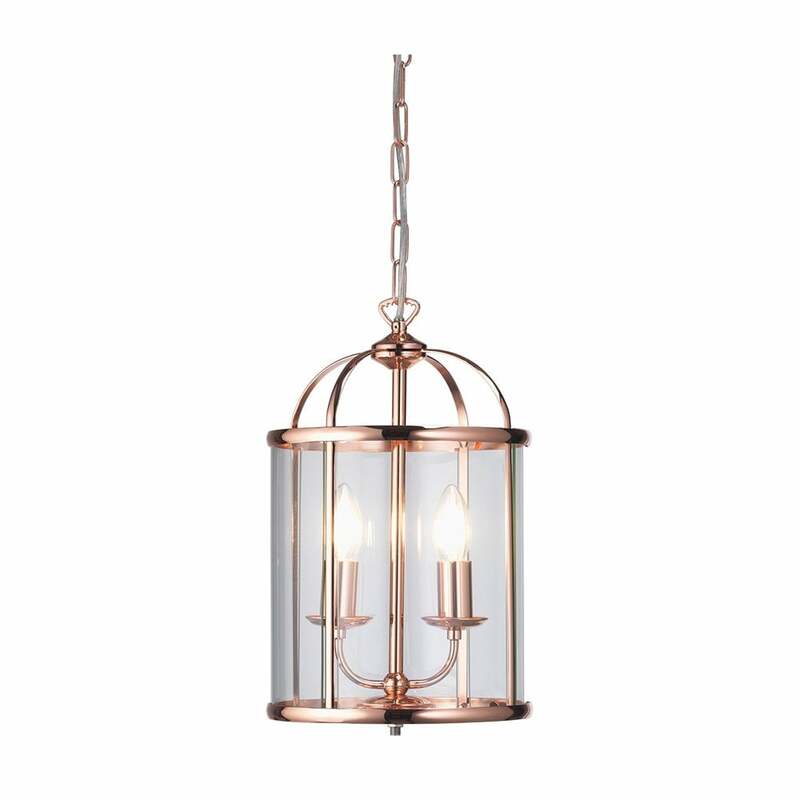 Oaks Lighting Fern 2 light ceiling fitting features a beautiful clear glass lantern with a copper finish, suspended from a circular ceiling plate with chain and cable. The product code for this Oaks ceiling pendant is 351/2 CU. A classic design which would be a great addition to any traditional or contemporary home and teamed with a vintage filament lamp will complete the look. This fitting is height adjustable at the point of installation. The Fern range includes single, 2 and 4 light ceiling pendants all of which can be found in cream and gold, antique brass, and antique chrome finishes. All of these items are available on our website, or alternatively you can find many more beautiful indoor and outdoor lanterns in various styles, sizes and finishes to suit your tastes.